I was given* a copy of Grandma's Poetry Book to review recently. I did not know what to expect as although I love all types of books I cannot remember the last time I read poetry. 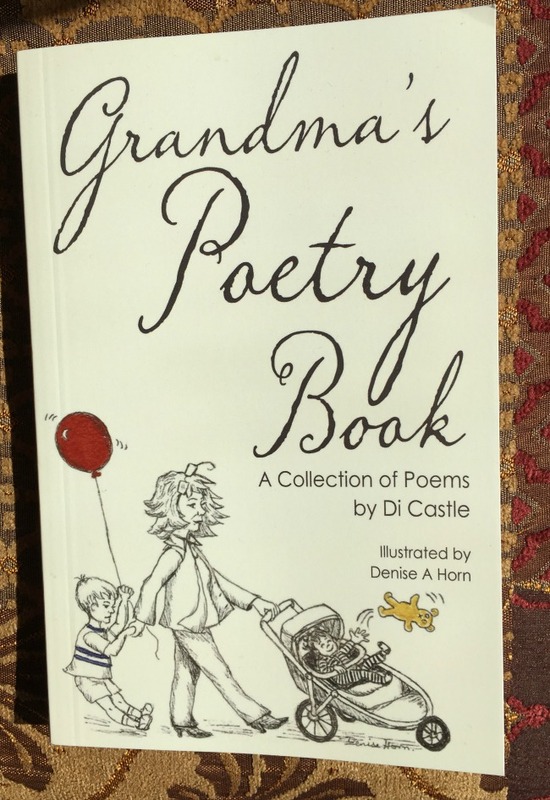 Grandma's Poetry Book is a collection of poems written by Di Castle and beautifully illustrated by Denise A Horn. 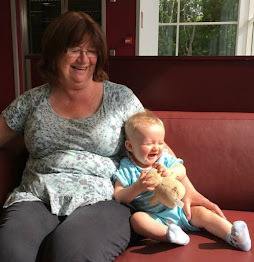 The poems begin before the grandchildren are born, continue through the baby and toddler years right up to being young teenagers. I sat down with Grandma's Poetry Book one evening and enjoyed reading it. The poems are short, simple and a mixture of fun and poignancy which has created a beautiful, personal journal. Sometimes the poems are very individual to the author and sometimes they are much more relatable to both me and other grandparents. Sometimes the verses do not scan smoothly and occasionally words struggle to rhyme but these are all part of the charm of this delightful book. 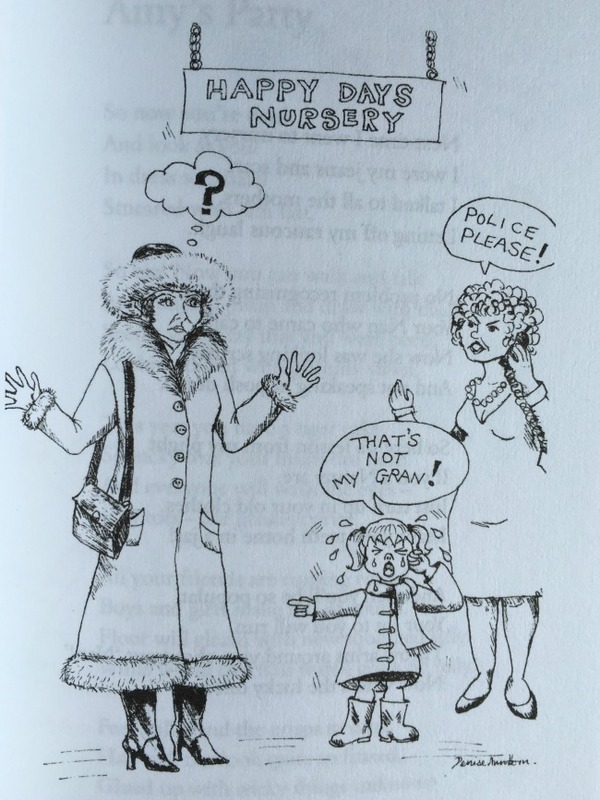 A particular favourite is The Imposter when Grandma collects the toddler from nursery, all dressed up in her finery and the little one refuses to go near and doesn't recognise her. you'd not seen me like that!" This brought back memories when it happened to me. At a wedding recently, Bear stayed close to his mother, and wouldn't come to me. Was it my hat? My posh clothes? The creation of Adam? No just a child's request for money not toys as they get older in Money, Money, Money! Grandma's Poetry Book would make a perfect birthday or Christmas present for Grandma's or just a gift at any time of the year. 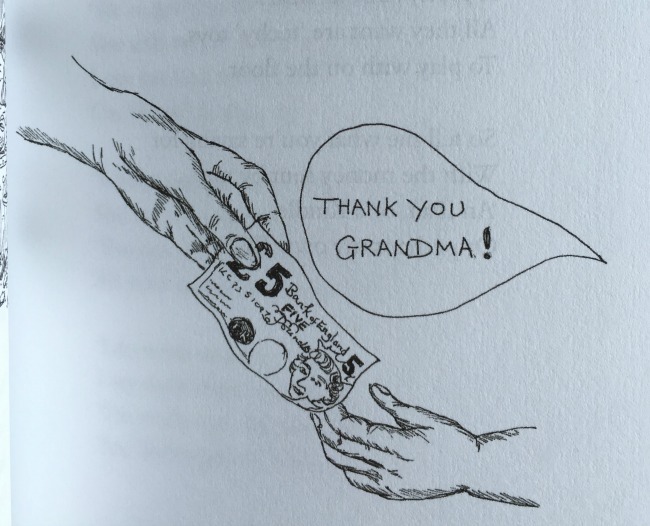 Grandma's Poetry Book is available from your local bookshop, if not in stock then they can order it for you or of course you can buy it online at Amazon. *this book was given to me by the author for the purpose of a review. All opinions are honest and my own.